You have done the research in the trucking industry; spent hours online and checked out dozens of websites including OOIDA, DAT, Tucker’s Report and more that explain authority, insurance (truck/health), profitability formulas, load boards, ELD services, compliance, taxes, etc. You’ve talked to some other drivers that either currently have their own business or used to. A family member has agreed to help you out by handling paperwork and assistance managing the load boards. You’re all set! Now you’ve done it. You have your authority (DOT/MC), your insurance ($750K BIPD/$100k cargo), your truck (2016 Volvo VNL64T780), leased trailer (2017 Hyundai 53’, swing door, dry van) and a few bucks to cover fuel, maintenance and an unforeseen repair or two and you’re ready to put it in the wind. Startup costs were more than you anticipated. You had to put more money down on the Volvo than you thought because your credit wasn’t perfect. The trailer lease, although not that expensive was $175.00 more per month than you thought, and you didn’t take into consideration the security deposit. Add in some other expenses, like a new laptop at home base to book loads and manage invoices and some software that links the new laptop, your cell phone and your ELD together. 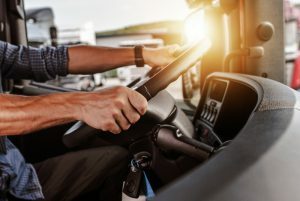 Even though you went to three different agents, your cargo insurance came in significantly higher than you thought because you are a new company and the shipper that promised you freight has a new $250k cargo insurance requirement. Lastly, you had to get health insurance for you and the family. Now you’re rolling. That shipper mentioned earlier isn’t quite giving you the number of loads, you anticipated, and you find yourself going to the load boards more often than you thought. Then your drive axle went out and the extended warranty you bought only covers the engine and the transmission, so you had to dig into the kitty to cover the repair. I know you’re saying to yourself, Dave, you’re just exaggerating things to prove a point. I wish was, case in point, just in the last month I had to spend $750 at the dentist, $500 at the doctor, $4,800 to my sister-in-law (her dog broke his leg) and my son had surgery for a collapsed lung that I am guessing will cost me another $2k or $3K even with excellent health insurance (my wife works for the V.A.). The money you put away to start operations is now depleted to the point where you do not have enough of what is arguably the number one killer of all small businesses; operating capital. Combined with that you now have an accounting nightmare because the family member helping you out is not a professional bookkeeper and got confused when you started going to the load boards and using brokers that all had different payment terms, quick pay programs and paperwork requirements. In fact, one broker went belly up and you are not getting paid on an $8k load from L.A. to NYC. Your business has now been attacked on three fronts: cash flow, risk management and accounting. So now what do you do? One answer that addresses all three of these challenges is to partner with a reputable, flexible, non-recourse, invoice finance company like Riviera Finance. When Riviera purchases your invoices you get immediate cash (within 24 hours), guaranteed customer credit and a single online depository for all of your transactions whether you choose to finance them or not. Since 1969 Riviera has been providing trucking companies and other small business with non-recourse invoice financing services. Non-recourse means that if your customer defaults on payment due to financial reasons, Riviera will not come back to you for the money. With 20 fully-staffed business development centers and 8 process centers across the United States and Canada, Riviera can provide the back-office support and single depository for the vital financial information that your company needs to operate efficiently and profitably for “all” for your accounts receivable. Transportation factoring allows you to get paid within 24 hours of submitting approved invoices while retaining the flexibility of financing only the invoices that you need to in order to build your cash reserves. Lastly, with our vast database of shippers we can often provide an instant credit decision, so you don’t have to worry about hauling freight for “at risk” shippers. Lower your risk, manage receivables and get paid with Riviera Finance today! Dave Tremblay has 40 years of logistics experience; managing, advising and selling warehousing, trucking, rail, ocean and air freight services ranging from Fortune 500 corporations to small trucking and freight brokerage companies. Dave is also a former president of the Los Angeles Harbor Transportation Club and a former Global Logistics Specialist instructor at California State University Long Beach.